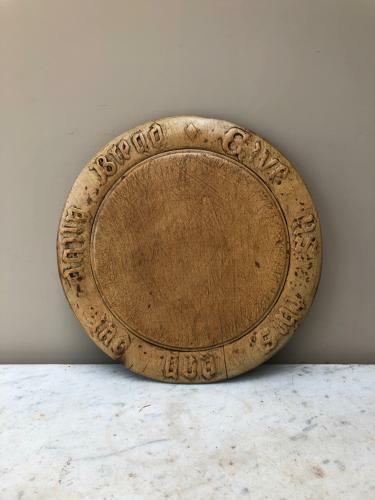 These boards are SO hard to find now....genuine Victorian Carved Treen Bread Board with Verse all the way round. "GIVE US THIS DAY OUR DAILY BREAD"
Used obviously and it is nearly 130 years old...but good colour...flat to use and lovely with the verse all the way round. One small split (tight) and no worm.